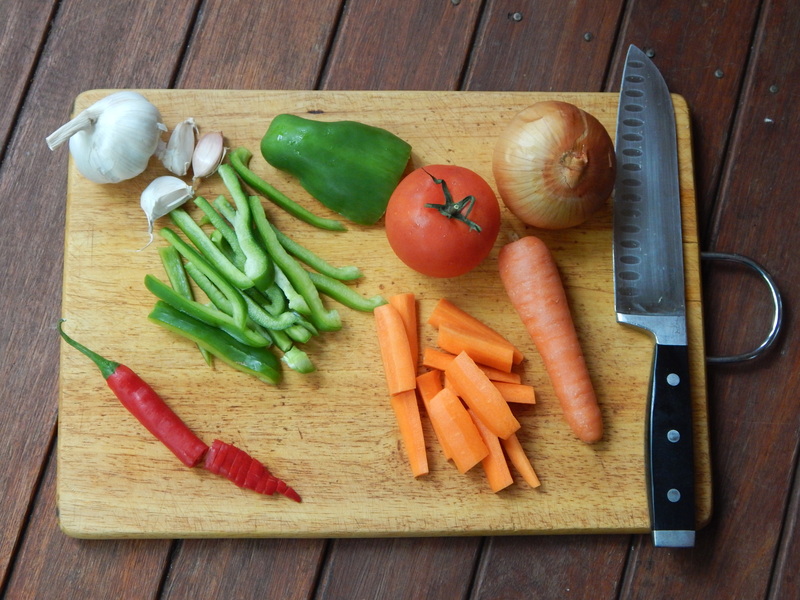 So searching for a recipe this week I used my favourite site for obscure cuisines, Celtnet and once again the site lived up to standards, providing three long lists of recipes for me to browse thorough. Scanning the lists I saw a lot of recipes based around seafood this is because Togo in the south borders the ocean. Togo is one of Africa’s’ smallest countries and resides in West Africa along with other countries such as Ghana, Niger, Benin and several others, a few as small as Togo. 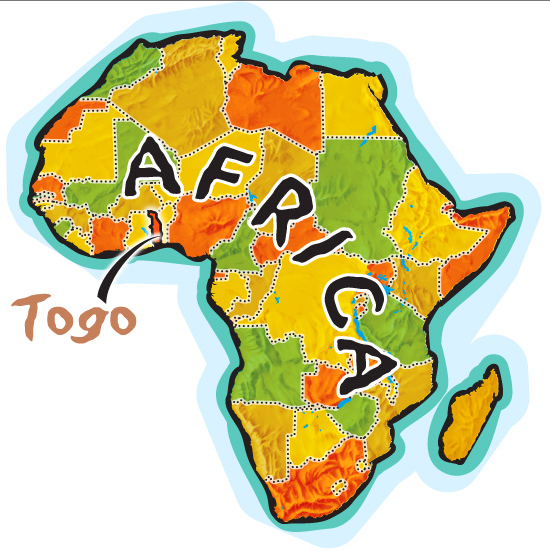 Some interesting things about Togo are : Togo means ‘House of Sea’ in the native Ewe language, For 200 years the coast was raided by Europeans in search of slaves and it was then known as the Slave Coast and the national language is French. I choose to make Beef in Peanut Sauce which I sourced from here www.celtnet the recipe is for 6-8 people so I halved the amount of meat and water but everything else I left the same. In a bowl, combine the grate onion and garlic. Season liberally with salt and black pepper then mix in the beef, cover and set aside to marinate for 20 minutes or longer if possible. Turn the beef mixture into a saucepan and add 35oml water. Bring to a boil, reduce to a simmer, cover and cook for about 45 minutes, or until the meat is tender. Drain the meat and reserve the broth. Add 2 tb of oil to a large wide saucepan (I used a large sauté pan) and fry the beef until nicely browned all over, you might need to do this in two batches as meat does not brown if touching. Remove the meat with a slotted spoon and set aside. Add 2 tb more oil to the pan then stir in the tomato purée and cook for about 5 minutes, or until dark red in colour. Add the fresh tomato and crush with a wooden spoon. Stir in the peanut butter and the carrots. Cook, stirring occasionally, for 5 minutes more than add the reserved meat broth along with the stock. Stir until smooth, bring to a simmer, cover and cook for 15 minutes. At this point add the beef and chilli. Return to a simmer, cover and cook for 15 minutes more. Serve hot, accompanied by plain white rice. It was time to pick our new culinary adventures – where would we be cooking from next? Bunny drew Togo out of the box this week and I pulled out another African country, so I picked again as hubby said “two African meals in one week was too much” Yah, I got Slovakia, another Eastern European country. What did I know about Slovakia? Not a lot…….. It’s a landlocked country surrounded by five other (larger) countries, and was once half of Czechoslovakia. 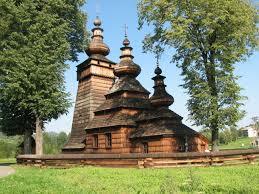 Home of the original Slav’s from the 6th century on, it formed part of Greater Moravia in the middle ages. Then gradually became part of the Kingdom of Hungary and later the Hapsburg Empire. Unified to become one country Czechoslovakia, which peacefully dissolved in 1993 becoming independent Slovakia and the Czech Republic. The capital and heart of the country is Bratislava, situated on both banks of the Danube River, it was once the capital of the Kingdom of Hungary. Loomed over by the impressive Bratislava Castle, it features many medieval towers, baroque palaces, wonderful churches and many green parks. The small population is well educated, the fabulous natural landscapes of wild mountains, lakes, rivers and caves, strong and colourful folk traditions, and many well-preserved historic buildings and quiet towns make this a great country to visit. Skiing, fishing (in rivers & lakes) cycling, sight-seeing of fabulous castles, fantastic churches especially the UNESCO site of the Wooden Churches of Slovak Carpathians, the mountains, especially the High Tatras, Bratislava itself, spa resorts and the Andy Warhol museum. Yes, Andy Warhol was actually Slovakian, born Andrej Varhola to parents who migrated from Miková in the 1920’s to Pittsburg, USA. Who knew? Naturally given the history, the Hungarian/Austrian influence is very strong and all the countries in this region share a common culinary heritage. 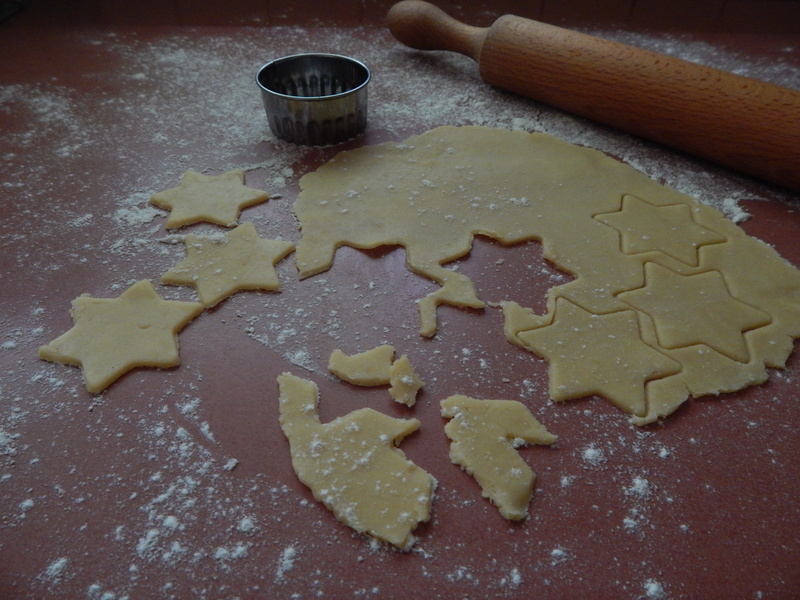 Many recipes are very similar but still have their own regional differences. Meat, particularly pork, chicken and game is very important, vegetables are hardy species such as potatoes, onions and garlic, the cabbage family, capsicums and carrots. Fungi are hugely popular and many are found in the wild. Wheat the staple crop is made into bread, dumplings and noodles. Temperate fruits such as plums, apples, apricots and berries are used in both sweet and savoury dishes. Milk products such as yogurt and soured cream, cheeses especially sheep milk ones are eaten a lot and meals traditionally were simple, tasty and hearty, using what was locally available. Long cold winters led to many techniques for the preservation of foods from cheese-making, salamis and sausages, pickles, and of course variations of sauerkraut. A much loved spice is paprika, hot varieties or mild and sweet, caraway, poppy seeds, and walnuts are popular flavourings. Paprika finds it’s way into many foods and recipes and is synonymous with the region. Put dough on a board, with a knife quickly cut into short little batons, dropping into the boiling water as you cut. Let them rise to the surface, then boil for a minute or two, scoop out and drain. 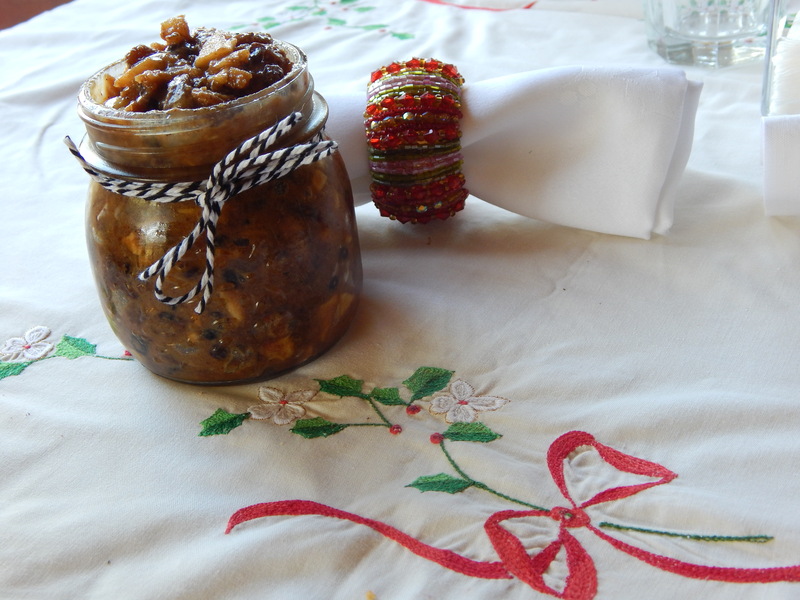 Serve immediately with paprikash or even stirred into the sauce to coat the dumplings. Browned butter may be poured over the haluŝky for extra richness and flavour. Heat oil in a saucepan over medium-high heat. Cook beef, in 2 batches, for 3-4 minutes or until browned. Transfer to a bowl. Stir onion and garlic in pan for 5 minutes until softened. 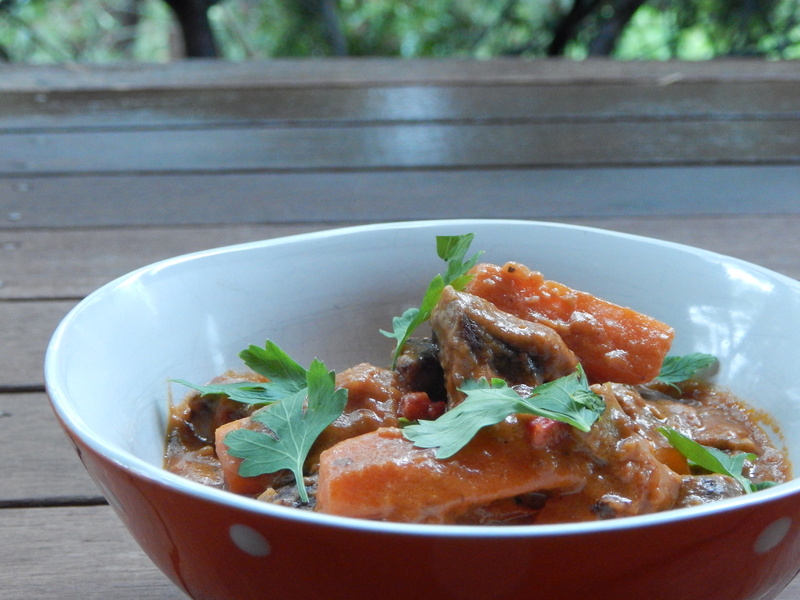 Add carrot, capsicum, chilli and mushrooms, cook for 5 minutes or until soft. Stir in paprika, caraway seeds and cayenne for 1 minute or until aromatic. Add tomatoes, potato and beef. Season. Add wine and bring to boil. Add tomato paste, stock and bay leaves. Reduce heat to low, cover and cook, stirring occasionally, for 1 hour 45 minutes or until beef is tender. To serve, mash the potato into the sauce with a rubber spatula to thicken it. Stir in half the sour cream, serve topped with a blob of sour cream, a few extra caraway seeds and the chopped parsley. I used my own recipe and spiced it up a bit to come closer to what a true Slovak Beef Paprikás̃ should be. I hope you like it. Thank goodness it was a cooler, rainy night when I made this hearty dish, otherwise we couldn’t have face it in 30 + degree heat! I served it with braised red cabbage, and the potato dumplings which were weird for us but good. Overall we enjoyed this meal from Slovakia and rated it 7/10. 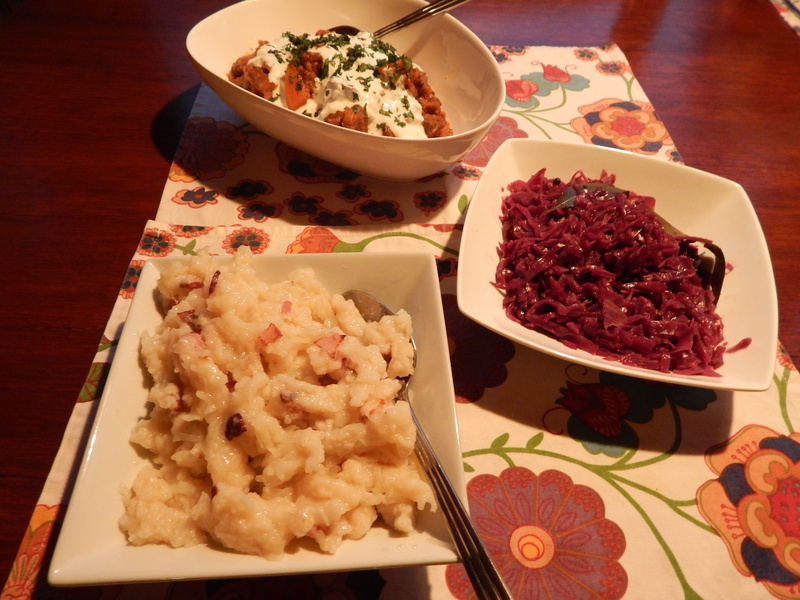 The dumplings made this dish interesting for us, as I regularly make a version of paprikash/goulash during winter. A Brief History of the Mighty Mother Nation – First inhabited in the Early Stone Age making England, one of the oldest nations in the world. 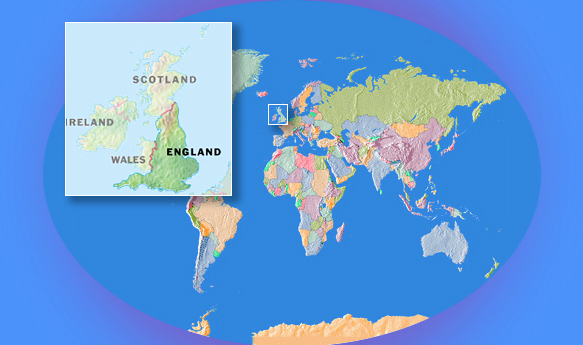 Sharing borders with Scotland and Wales which both aren’t countries but are part of the United Kingdom. Over the centuries Britain has been invaded by many different people from The Celts, Romans, the French or Normans, Vikings and more. They brought their own foods, different cultures and ways of life, much of which became a part of English culture, and is still around today. England’s Food History – Traditional foods such as bread, cheese, roasted meat, savoury pies, cooked vegetables and fish have been eaten in England for thousands of years. In the Victorian era, Indian colonists brought back with them a love of spices, chutneys and curry making to England. Later Indian and African migrants came and new curries were born such as Chicken Tikka Masala and Butter Chicken. Two of the most popular English takeaway dishes. Other classic English meals are Fish & Chips, meat pie with optional Mushy Peas and Gravy on the side, Toad-in-the-Hole, Shepard’s pie, Full English Breakfast, Bubble and Squeak and Beef Wellington, to name a few. England has produced and still produces some of the most iconic foods items in the world; Cheddar cheese, Devonshire tea, sandwiches , HP Sauce, Worcestershire Sauce, Marmite, Gravy, English mustard, Sausage rolls and Piccalilli. Some of the most well known and renowned chefs in the world are from England such as: Marco Pierre White, Jamie Oliver, Heston Blumenthal, Gordon Ramsey, Rick Stein and Nigella Lawson all of which I admire and look up to. So deciding what to make I thought I’d go with the classics; Roast Beef with Yorkshire puddings and vegetables for dinner (or tea for you English people) I also wanted to make a special afternoon tea and we invited some family friends over High Tea; scones with homemade jam and fresh cream and scotch eggs. Remove from the oven, lift onto a platter, cover with foil and rest for 30 mins. If you’re making the Yorkshire puddings increase oven to 220C/200C fan/gas 7. Up to 3-4 hrs before cooking, mix together the milk, eggs, flour and 2 tsp salt in a food processor or blender until you have a smooth batter. If you don’t have a food processor or blender, whisk the eggs into the flour and salt, then gradually whisk in the milk until smooth. Transfer to a jug, cover and leave at room temperature for at least 15 mins. Heat oven to 220C/200C fan/gas 7 and brush 12 holes of a muffin tin with the oil. 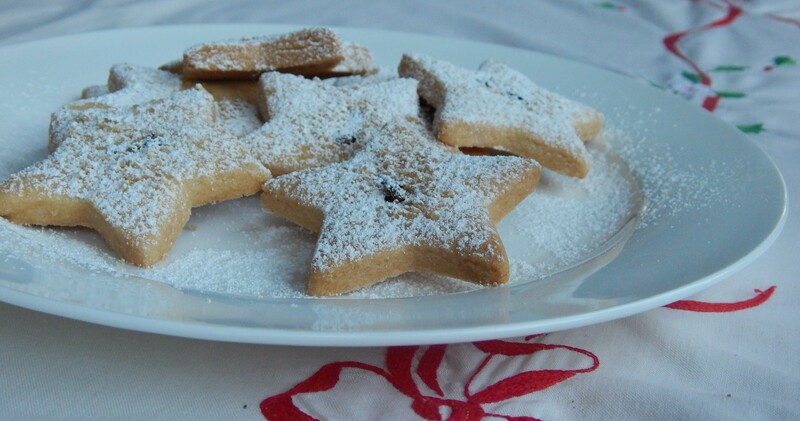 Heat the tin in the oven for 5 mins, then carefully lift out and quickly pour the batter into the holes. Bake in the oven for 5 mins, then reduce oven temperature to 200C/180C fan/ gas 6 and cook for a further 30 mins until puffed, risen and golden. 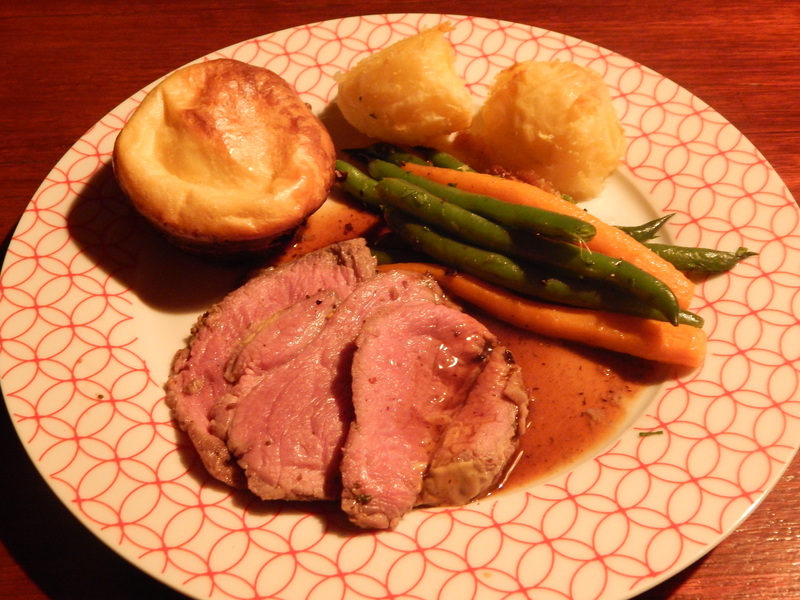 We also served our meal with duck-fat roasted potatoes, cooked beans, honey tossed baby carrots and beefy gravy. Sorry about the photo this meal ended up taking quite a long time to make with all the components and once again Mimsey did help so by the time it was made it was late and we had really bad lighting.The overall rating of this meal was a 8/10 it was very enjoyable. Now onto the High Tea, I made this the following weekend. 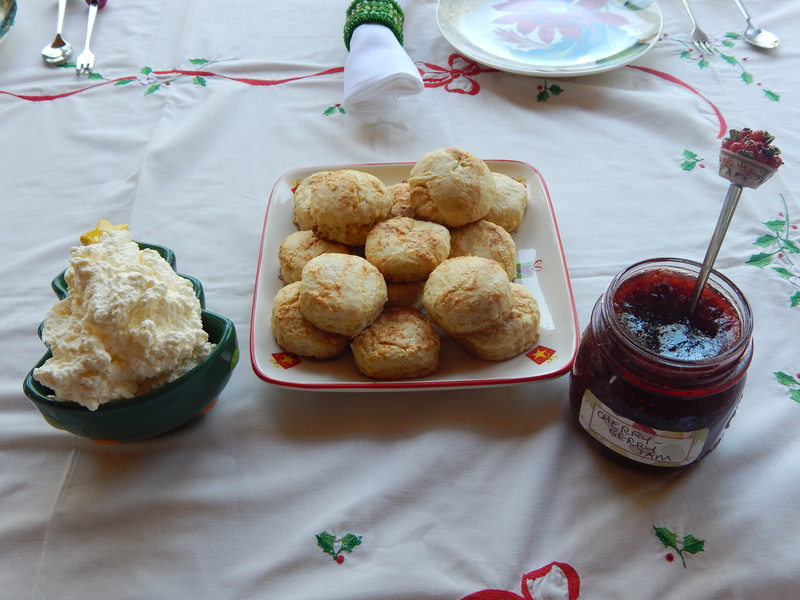 We had scones for which I used a basic scone recipe of Mum’s, with Four Berry Jam which Mimsey makes (she will be putting a a recipe for her jams in the future) and fresh whipped cream. 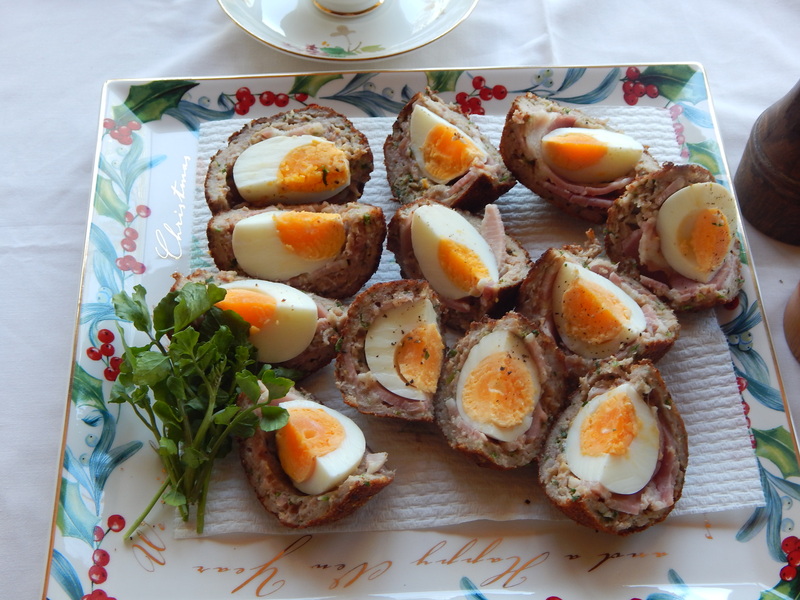 I saw a photo of Scotch eggs , that classic of English picnic foods from the 60’s, and really wanted to make them – even though my dad said he hated them. 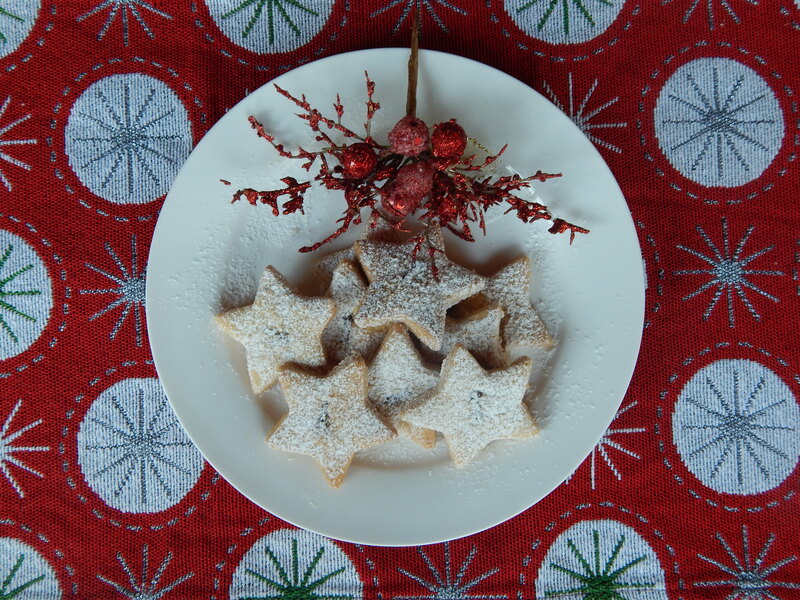 I found a good recipe for extra special ones, yet again on the BBC Good Food website and the link to that will be below in the recipe. We sipped Twinings Afternoon Tea or Green Tea made properly in a teapot, served with milk and sugar. Bring a large saucepan of water to the boil. Drop in the bacon rashers, turn off the pan and fish out the bacon with a pair of tongs – it should be just cooked. When the eggs are cool, tap lightly on a hard surface to crack the shell, then peel. If you hold the eggs over the bowl of water as you peel, all the shell bits will collect in there and you can dip in the egg to wash off any fragments. Wrap a slice of bacon around the middle of each egg, overlapping, like a belt. Roll your bacon-wrapped eggs in the flour, shaking off excess. Take a good chunk of mince and pat out to thinly cover one hand. Sit the egg on the meat, then mould over the mince to cover, squeezing and patting so it is an even thickness. You’ll probably have a gap (depending on how big your hands are – just patch and pat with a bit more mince). Dip in the egg, shaking off the excess, then roll in the breadcrumbs to coat, and transfer to your tray. Repeat to cover all 9 eggs, then cover with cling film and chill for 4 hrs or overnight. To cook, pour the oil in a large, deep saucepan to about 4cm deep. Heat until a small chunk of bread browns in about 1 min. Carefully lower in a scotch egg and fry for about 5 mins, turning gently, until evenly browned. Depending on your pan, you can probably do 2-3 at a time, but don’t overcrowd. Lift out onto a kitchen paper-lined tray. (If you like your scotch eggs warm, pop them into a low oven while you fry the rest.) keep an eye on the oil – if the scotch eggs start browning too quickly, the oil might be too hot and you risk the pork not being cooked before the scotch egg is browned. If the oil gets too cool, the scotch egg may overcook before it is browned. enjoy warm or cold; best eaten within 24 hrs of frying. So the High Tea took a long time to make and prepare, we ironed a tablecloth and napkins and set the table all pretty with Mum’s bone china cups and saucers (not the really good ones!) and cute little cake plates. The Scotch Eggs took quite a while but the scones were easy and only took 45 minutes start to finish. Thank you to Mimsey for helping and thank you to Lauren for helping set the table, I couldn’t have done this all by myself. Even Dad was won over by this delicious version of Scotch Eggs, and quietly scoffed quite a few I noticed, before hoeing into the scones with jam & cream. We ate way too much and gave the scotch eggs 7/10.